There are few things I love buying more than new pieces of stationery. I spend so much of my time working on my computer & looking at my phone but I actually much prefer writing everything down on paper. I find it quite therapeutic & it allows me to make notes freely without the confines of technology. I always used to look forward to buying new pads & pens in September ready for the next school year but nowadays I only really buy stationery at the start of the new calendar year. I've been struggling with self-motivation for the past few months but planning everything out in lists & diaries makes me feel a lot more organised and in control of my life. One item that I buy every year & will continue to do so until they stop making them is a Frankie diary. I love absolutely everything about the way they're designed as the spreads illustrated by Sara Hingle are both beautiful & highly useful. 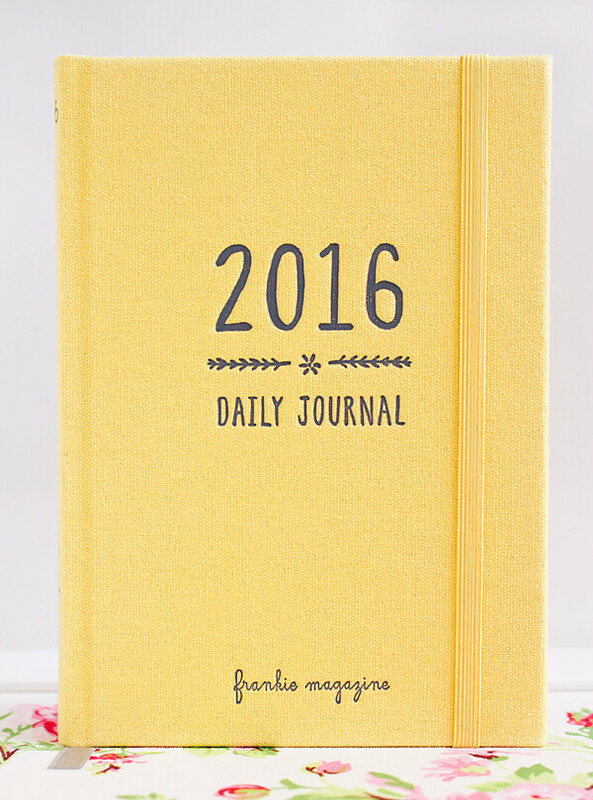 The 2016 diary is bound in sunshine yellow cloth with grey debossed type. It comes in A5 size which fits perfectly on my desk & in my Sailor Moon backpack. 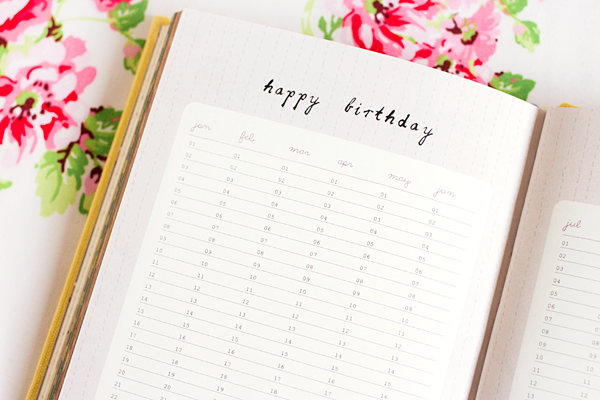 As well as the spacious diary pages it also includes gift tags, tear-out forget-me-nots, sticker sheets, addresses, birthdays & a handy conversions page. You also get a pocket at the back for storing any extra stuff you need. Frankie Magazine is based in Australia so you have to import it & delivery can take a couple of weeks. I've never had any problems with customs though & it's well worth waiting for! I started Slimming World back in September & have done pretty well so far! However one thing that I really disliked about starting was having to fill in those tiny little food diaries. There was hardly any room on the page for me to log my food properly. The concept is good as it forces you to be more mindful about what you're putting in your mouth but the design was impractical. So to ensure I continue to get some decent losses each week I decided to start a new food diary. 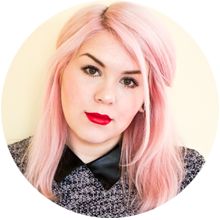 I spent ages searching for a format that I liked & eventually I came across Lollipop Designs. 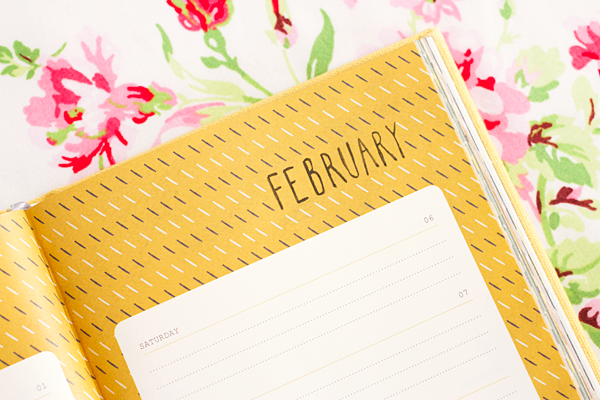 I ordered their pastel weekly planner pad & it's utterly perfect as a Slimming World diary. It has six columns into which I enter my breakfast, lunch, dinner, snacks, water intake & syns. 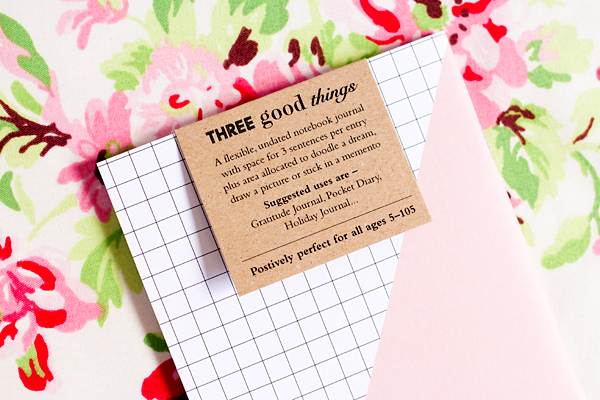 I also got their three good things notebook. I was mainly drawn to it because of the super cute heart design but it actually works as a great little positivity journal. It also inspired me to create a new series of blog posts focusing on three products within a certain theme so look out for that soon! 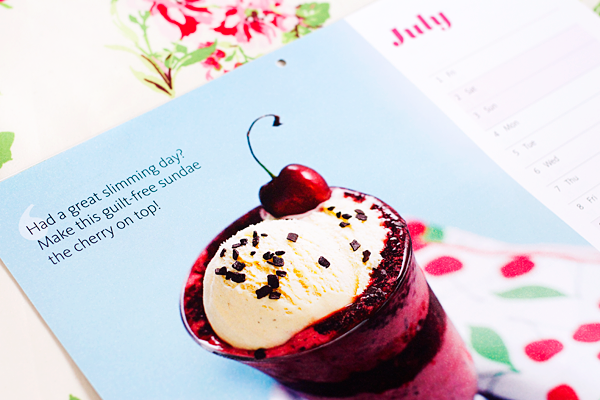 My wall calendar this year is a Slimming World one. I got this a few months ago as a freebie with their monthly magazine. 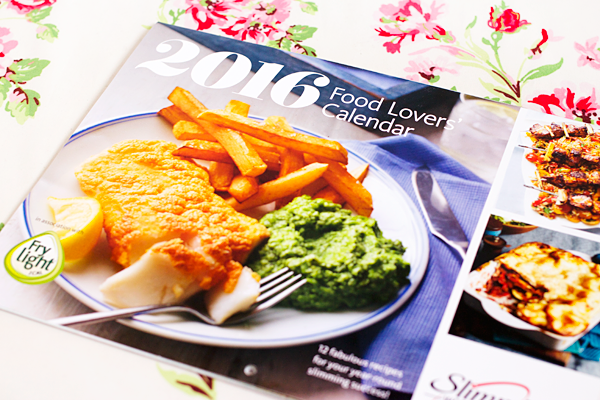 Each month comes with a scrumptious seasonal recipe & I can't wait to give some of them a go! I've hung it in my kitchen for inspiration when cooking & to remind me to stay on plan when I can. Self care is incredibly important for both your physical & mental health. If you're feeling stressed you need to make sure that you take the time to do some of the activities that nurture you. Last year I went on several self-help courses & mindfulness was something that we often touched upon. One way of practicing mindfulness is colouring. 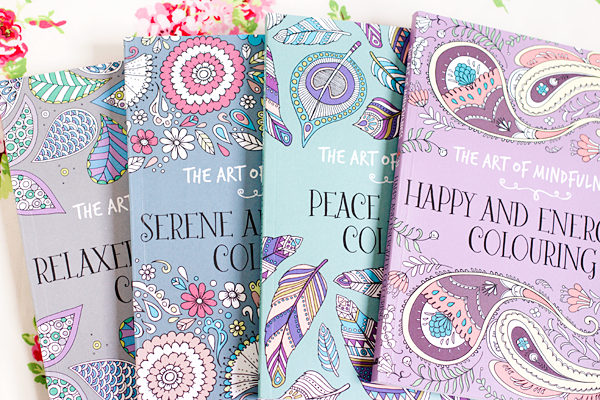 It's an easy way to calm the mind & occupy the hands. 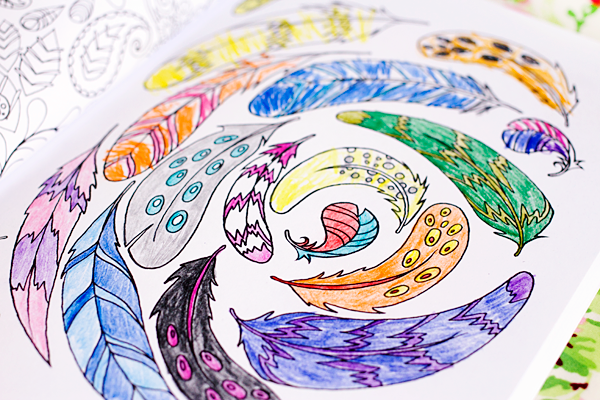 The repetitive action of colouring in focuses the brain on the present, blocking out any intrusive thoughts. 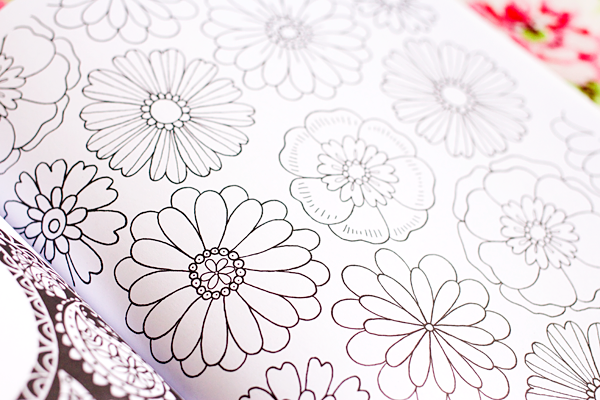 These kind of colouring books are everywhere at the minute & I decided to give them a try. 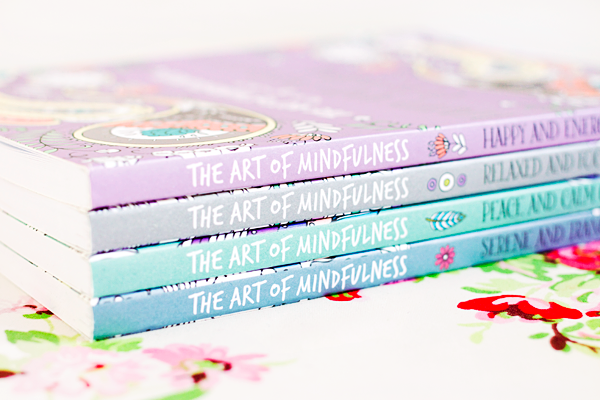 I spotted a lightning deal on Amazon for these Art Of Mindfulness colouring books. I only paid £8 for all four books which was such a bargain! The paper stock is fairly good quality so my pens don't bleed through the pages & they feature a lovely range of illustrations. Chloe loves colouring too so we often do it together now! I also bought some new pens & pencils to go with my new colouring books. I didn't want to use all of my fancy design pens just for colouring in (especially if Chloe's going to use them too!) 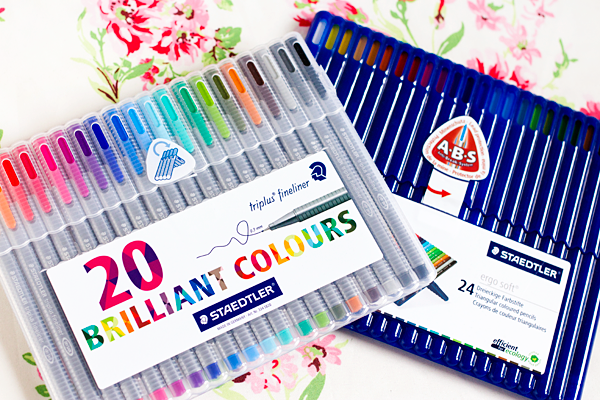 so I ordered the Staedtler Triplus fineliner pens and the Staedtler Ergosoft triangular colouring pencils. Loads of people used these at uni as they're excellent quality & draw very smoothly. The pen colours are vibrant & smudgeproof. The pencils are richly coloured with soft, break-resistant lead. They're both colouring book & child friendly so I'd definitely recommend these if you're wanting to get into adult colouring books. Plus they come packaged in these really handy stand-up cases! My obsession with washi tape is still going strong. You can decorate so many different things with them & they also look great when used as photo props. I'm always on the lookout for bold new colours & patterns. Of course I love anything sparkly so I recently ordered some rolls of glitter washi tape from eBay. They do loads of different colours but I went for gold, silver & pink glitter. They all look so pretty! I especially like using them when wrapping presents. 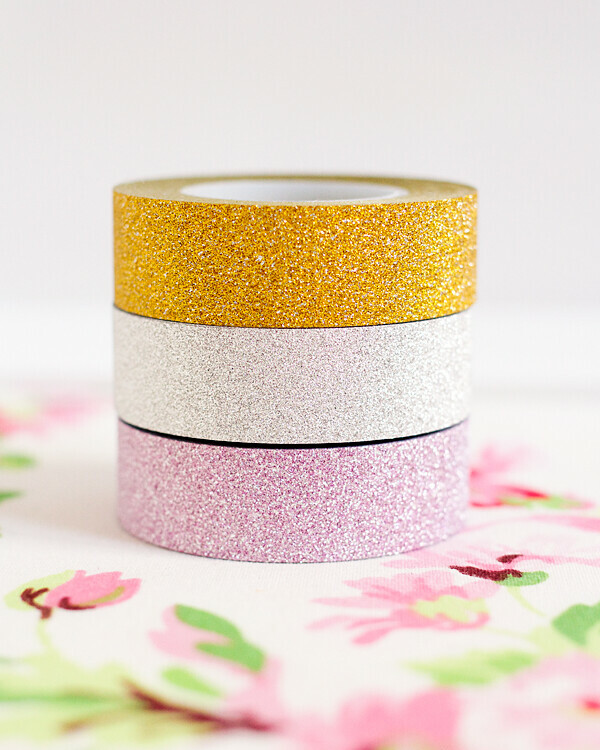 Glitter may be the herpes of craft supplies but that's not an issue with these awesome glittery washi tapes! Gorgeous bits. I love the colours. So cute. 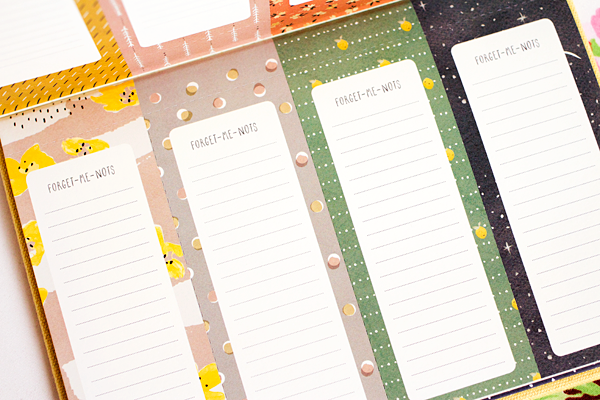 I love nothing more than stationary, so this post got me giddy! Everything is just so, so pretty! I love buying nice stationary - your diary is gorgeous! 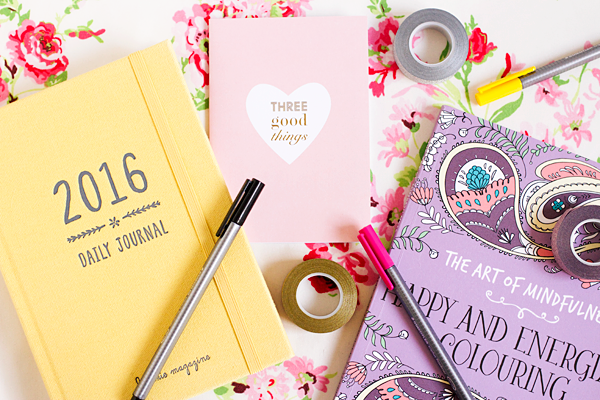 There's nothing better in life than good stationary! 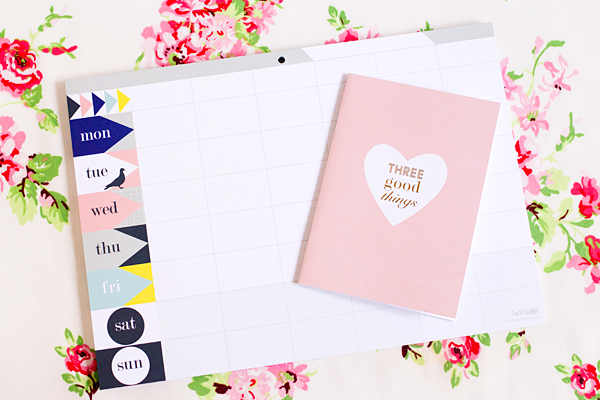 I'm such a sucker for pretty stationery, I love that daily diary! I prefer writing everything down too! I find that I am so much more productive when I sit down at the computer with handwritten written notes. Also, that's probably the best description for glitter that I've ever heard, haha!